Home » Vaping Tips » What Are the Fundamental Differences For Vapors? One of the most attractive things about vaping is the use of eLiquid or eJuice. Vapor Galleria creates and carries 100+ lab created flavors. These juices are added into an electronic cigarette or vape pen where it will be turned into vapor. Each device can differ on where the eJuice is added. 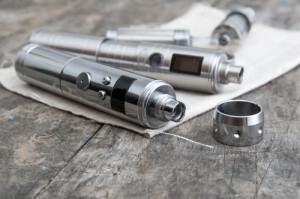 Some devices require vaping cartridges, cartomizers or tanks depending on how they are designed. So how do I know what vaping product to use? eCigarettes will typically require cartridges, especially a lot of the disposable eCigs. There are different options to choose from. You can use a blank cartridge that you can fill with eLiquid or you can use prefilled cartridges which allows you to quickly change out your juice.